Presented by Chris M. Smith, Kat Arney. Scientists think this will permit the breeding of bespoke poppy varieties, including those that produce the anti- cancer compounds. Ian - We've been studying opium poppies for a number of years in a partnership with the pharmaceutical company GlaxoSmithKline. In fact, not a lot of people realise it but they grow poppies for the production of morphine and codeine. And a lot of people have had those drugs where they've been suffering from severe pain. Chris - I mean indeed, they're some of the most powerful and the most effective drugs that we have in our medicine chest. What was the question that you were asking here? Ian - The challenge for us has been that all of those enzymatic steps for synthesis of morphine and codeine have been described over the last 20 years except for this one important gateway step. When I say 'gateway step', I mean if you could think of a production line and components coming down the production line then, that could go into making a Volkswagen Polo or a Volkswagen Scirocco. So, this gateway step, diverts the molecules go in one route or the other. And so, it's extremely important because once we could understand that then, in the plant, we could influence the flux down one pathway into morphine or down other pathway into another molecule in fact called noscapine which is an anticancer compound. Chris - Why has this step proved rather difficult to get to grips with in the past? Ian - The answer to that came with the discovery in fact because it turns out when we discovered this gene which we call STORR, it's a fusion of two other genes and that fusion event brought together two enzymes. What that allows to happen is that instead of two separate enzymes floating around a cell, you have the two enzymes together and there's more rapid channelling of the two reactions together. Chris - How did you discover that that's what had happened? Ian - We looked through a large population of plants. 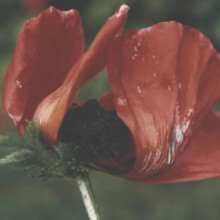 This is poppy plants that are unable to make more morphine. So, they just were not making any morphine. The interesting thing was that they were accumulating another compound that we know goes into this gateway reaction that I talked about. Chris - So, it's rather like, if you had a worker on the conveyor belt and they went on strike, there'd be loads of the things that they would normally do as part of the production line which would build up behind where they were standing, and you were spotting, A. there was a build-up of these things and B. you could therefore workout what the worker was doing who was missing. Ian - Yes, exactly. So basically with it, when we saw there was an accumulation of this compound then we thought there's a real opportunity here to now discover what this gene actually is. And then we used various other tricks to identify what the gene was. Chris - Now you've got the gene, what is that telling you? What do you think you can do with it? Ian - So, the gene is interesting in a number of ways because we're interested in developing poppy plants by using DNA markers. So, we can breed plants that are making this compound called noscapine which is an anticancer compound rather than morphine. We can also look for plants that are making more morphine or more codeine. So, it's a very valuable tool for plant molecular breeding. Chris - Looking at it from a different perspective, in recent years and months, we've seen people speculate and now say they're on the verge of genetically modifying things like yeast so that they could make yeast growing in effectively the same gear as you'd use to make home brew in your living room and have it churning out morphine. Now you've made this discovery, does that mean that people have got the missing part of the puzzle to make their home brew kit for morphine work? Ian - Yes. Well effectively, this discovery is the missing tool in the tool kit. It's inevitable now that in the not too distant future, the proof of concept objective will be making morphine in yeast from simple molecules such as sugars. Martin - Hallucigenia was a sea creature that would have lived in reasonably deep waters and would have been surrounded by a vast range of diverse and weird creatures. So, there are things like Anomalocaris which looks like a cross between a lobster and can opener, Opabinia that looks like a shrimp that's swallowed a vacuum cleaner, there are sort of squid-like things, there are fish-like things, there are sponges, there are seaweeds. In stark contrast to the seas of 20 million years earlier where there was basically nothing much more complex than seaweeds. Georgia - And I see you have a little model of Hallucigenia here. Is this it? Martin - That's right. So, we've got a small model of Hallucigenia. This is a cast of one of the fossils that we've been working with. It's about a centimetre long or so. The fossil looks a bit like a hockey stick, but it's thin as a pin. It's really tiny. You can just see 7 pairs of long spines sticking out of its back. It's got long, slender tentacle-like legs dangling from the other side of its body. Georgia - Looking at this, I think if I found this, I would think it was just a sort of scratch. It looks nothing like an animal. What do people make of this when they first discovered it? Martin - When it was first discovered, I think it was sort of put to the back of the drawer as, "What on Earth is this?" It was formally described in the 1970s quite a bit later. At that point again, it was very hard to know what to make of it. So, we could see both of the spines in each pair, but one side of the legs were actually still buried in the mud. And so, the paleontologist describing the creature didn't recognise this and thought, "Okay, we've got pairs of spines, but then we've got one dangly thing associated with them." It must have been walking on the spines. The spines must've been its legs and who knows what this sort of dangly thing was. Maybe it was a tentacle passing foods to the head or something like that. People say, "Well, you can't walk on spines. They're stiff. They don't even bend." And so, someone built a robot to say that you could walk on stiff pointy spines. I think it would still get stuck in the mud somehow. But it's a really bizarre reconstruction of an animal. I think that's what led to its name, Hallucigenia. It's sort of dream-like and other worldly appearance. 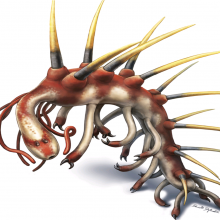 It was the 1990s when we realised that actually, Hallucigenia was the wrong way up. Georgia - And now, what have you discovered? Martin - When we went back to Hallucigenia, we knew which way up it was. We still didn't really know which end was the head and which end was the tail. Royal Ontario Museum crews have collected over the last 40 years dozens of new specimens. So, we figured it was time to redescribe the animal from the ground up. So, the first thing we did is we went looking at this big bulbous, orb-like structure that's at one end of the body. And we said, "Well, is this really the head? It looks a little bit weird. It's a bit inconsistent." We can actually show that it's got a different composition to the body tissue. So, it's not actually part of the animal at all. What we think it represents is decay fluids or gut contents that were squeezed out of the end of the organism as it was buried. So, that's not the head at all. So we thought, "Okay, well what's going on at the other end? Where is the actual head?" And so, my colleague, John Bernard, dug away at the rock that was covering that end of the organism and we saw that this is probably the head. It would be nice to prove it for sure. The couple of specimens we looked at the microscope, we could see something that looked a little bit like eyes. But because it's so tiny (it's way less than a millimetre across), we couldn't really see any detail. So, the next thing we did was we said, "We've got to put these in an electron microscope" and that lets us get down to thousands of a millimetre in resolution. And so, we put the fossils in the electron microscope and lo and behold, we saw not just a pair of eyes looking back at us, but underneath in there is this enormous sort of grin almost. There a little circle of teeth below the eyes. This was completely unexpected. We know that Hallucigenia's closest modern relatives are animals called the velvet worms. They live in rainforest. They've got very simple mouths - no teeth at all. And so, to find teeth not just around the mouth of Hallucigenia but also in the throat, we found in the throat of Hallucigenia, there's lots of little needle-like teeth. This was a complete surprise to us. Georgia - Hallucigenia lived 500 million years ago. Why should we care which way around it goes? Martin - Hallucigenia is really weird and it's really unexpected. The point is that it's telling us something that we'd never know just looking at the animals that we can see today. It's only through looking at fossils like Hallucigenia that we can understand how the modern groups of animals are related to one another and how they evolved in the first place, and how they became complex and how quickly. So really, Hallucigenia was a unique window into this really early and exciting period of evolution of life on Earth. Georgia - So now we've got Hallucigenia - well first in '90s, it was put the right way up and now, you know which way around it goes. Is this it for Hallucigenia? Have we sold it or is there anything more to find out? Martin - Well, I think it's fundamentally solved at least. We kind of know what it was doing, but I definitely wouldn't say there's nothing more we'll find out. Hallucigenia is full of surprises and almost each time we go back to the fossil, we find something new. So, who knows what's to be next. One thing that's quite exciting is a lot of Cambrian fossils we're finding have nervous tissue in. so who knows? Maybe we'll find new fossils which show Hallucigenia's brain and its nerve cord and that could tell us something really fundamentally new again about how it's related to modern groups and the origin of modern animal diversity. How could technology help the fight against technology? Chris - Peter, in a recent study, 63 per cent of all pollutants in the air in London - using London as an example of a big city - they're attributable to transport. So therefore, transport is potentially a big polluter. What realistic alternatives might there be to the fossil fuels that most forms of transport currently rely on? Peter - Hello. Good evening, Chris. Thank you very much for inviting me again. Yes. In fact, there's another figure floating around that London is likely to be fined as much as 300 million euros a year for pollution particularly in Oxford Street. Peter - Fined 300 million euros a year. Peter - This is by the EU, for polluting. Possibly the most polluted city in Europe. Chris - Gosh that's not something to write home about! Peter - This is primarily diesel fumes from buses and lorries - buses specifically. But there are other alternatives of course. There is the battery, there's hydrogen cars coming on in a very small number. So, do you want me to talk through what the alternatives are? So, if you take some statistics. There are about 500 million cars worldwide of which about 30 million are in the UK. If we use batteries which we hear about more and more - battery technology run vehicles have been around for a very long time, if you remember the milk floats, golf buggies although they're not on the road, and around about of those 500 million, there's about a million who have been sold with batteries so far of which a Japanese manufacturer is the biggest. And some people would've heard of TESLA which has about 10 per cent of the market. Chris - The American car company. Because they did something quite radical last year which was to announce that they are actually making a lot of their technology off patent so people could begin to work on it, couldn't they? Chris - To try to stimulate the market. Peter - Exactly, yeah and they're also going to be building a very big plant to manufacture batteries which other people can use including other car manufacturers. Chris - Is this going to make a big dent in the problem though? If we take London's problem and the threat of the 300 million in fines, what sort of a difference could we make with electric cars? Peter - Electric cars, there's a big issue with electric cars for a number of us who don't live in cities which is called range anxiety where people were worried about running out of power and running out of the batteries being flat. A typical car will be a couple of hundred miles, maybe 250 miles. TESLA working on that on the basis of putting superchargers around the place of which we got only a few in the UK so far which you can fill half charge of the current about 20 - 25 minutes. Compare that with filling your car with petrol which takes 5 or 6 minutes so it will give you another 500 miles. So, one alternative is hybrid where you've got a petrol engine or diesel engine and a battery. Of those, there are about 10 million have been sold worldwide and 300,000 or so are plug-in. I have a plug-in hybrid so that gives the range I want over short distances like 25 miles or so. I can actually run on electric only which is very much cheaper. Chris - The fact is the figures speak for themselves. The numbers that you have cited for the entire world are a small fraction of the total number of vehicles just in this small island, Britain. So, we've got a long way to go before we're in a position to actually be changing the impact we're making on the climate potentially, haven't we? Peter - Absolutely, yes and what pressures are going to be on that? There's going to be potential of, when this oil going to run out. At that point then renewables and therefore, battery power will come in. 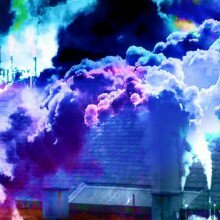 Other pressures come from reducing the amount of pollution there, emissions control which I was talking about with London there. So, it's going to be policy not price of the fuel that's going to make the difference. Chris - I'm glad you brought up the policy word because I was thinking, well, if I was the mayor of London faced with a 300 million quid bill for my pollution problem, I would be thinking, well, should I invest some of what I'm going to lose in incentivising the industry? Peter - Correct and they are doing that. There are two manufacturers - one in London, one outside London that are working on a bus which is hybrid. This is reducing the emissions and reducing consumption simultaneously that costs money. Chris - What is the bottleneck? What's holding this up? Is it just battery technology? Is it just that range anxiety or is there something else fundamentally holding it up or is it just that oil is cheap? Peter - Well, it's just battery. The big problem with batteries is that although lots of things in our lives seem to be increasing in speed and reducing in size very rapidly, batteries are not. You're getting 5 to 8 per cent increase in battery capability every year. The battery in my car weighs 125 kilos. That is the equivalent of just over a pint of petrol. So, what's a pint of petrol? Less than a kilo. Chris - You mean the output equivalent. Peter - The output equivalent, the output, the energy usage from 100... Now, of course it's rechargeable - the battery in my car and petrol, I have to put in again so it's renewable. But that also is huge. I mean, it takes up some luggage space. So, it's a big issue with batteries not getting there but more strongly, it's just inertia in the system. It's the fact that the policies are not being pushed forward. California has been working on it for a long time - a lead-free petrol a long time ago. But it will be a policy thing that pushes it through more quickly. Chris - So, with your entrepreneurial/investor's hat on, what can we expect to see in the nearest timescales? 16:34 - Can you predict your baby's personality? Can you predict your baby's personality? Angelica - We know as adults that we all differ between one another and that's a healthy variation. Someone might be a racing car driver because they've got really quick responses and very fast visual attention. Someone else might choose to work in a museum restoring paintings and really having a sort of long attention span. You know, that's all healthy variation between people. We don't know anything really about where that variation comes from earlier on in development. And so, we were looking at new-borns to see if they differed between one another in terms of their visual attention. We didn't know what we would find because there hadn't been any studies like this. Kat - Tell me a bit more about the study and the participants in your study. Angelica - Yes. 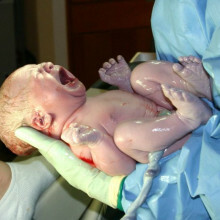 So, we worked with a researcher in northern Italy who has expertise in understanding and studying new-borns. It was based in our hospital there, just typical mums having their babies, healthy babies, and they would come into a room next door to where the babies were born, and have a look at some objects on the screen, so very non-invasive. And we've got about 80 babies who did that who participated in that way and then we followed them up. My researcher actually had a motorbike and he cycled around northern Italy visiting these families who were very good-natured and took part in this research. We asked the parents about the children's behaviour once they've grown up. One was level of activity. So, some children as we know are very, very active and some are less active. There's lots of variation between children. Also, we're interested in something called assurgency which relates to children being quite impulsive, quite extrovert, outgoing. We're also interested in typical types of behaviour problems like having difficulties with your peers, having conduct problems, and so on. Kat - And so, what did you find? Is there a sign that when a baby is just a couple of days old about what they're going to become? Angelica - Well, it's not predictive. It's not a one-to-one mapping. We're not going to start telling mothers what their babies will be like. But there was significant relationship between how babies looked at objects and their behaviour later on. It didn't explain all of their behaviour later on, but it was one of the little risk factors as it were or one type of way of predicting children's behaviour. What we found was that the new-borns who were spending longer looking at any particular object, they had fewer behaviour problems and they were less active and less extrovert whereas the babies who at average tended to flit around the screen were likely to be a bit more active and a bit more extrovert, but also have a few more behaviour problems. So, there's pluses and minuses on both sides. Kat - Would there be any kind of interventions or any benefit to actually identify children in this way? Angelica - Well, our study is really very the first of its kind to look at the links between differences in new-born's attention and later, behaviour problems. So, we definitely need a lot more research. There is some evidence that for some children who might be at risk of developmental conditions like autism and ADHD, the earlier the intervention, the better. But we don't know whether it's appropriate to intervene at the point of being a new-born. And so, for most children, this study is just about normal variation, the wealth of rich individual differences between people and children and babies. Kat - I'm sure many of our listeners might have babies or might be expecting a new-born. Is this the kind of thing that they'll be scrutinising their baby for and saying, "Oh, it's going to be like this. It's going to be like that." Angelica - I don't expect that this is something one can observe in a new-born one's self. It was a case of using video-coded data and then measuring that data. It's not something that sort of one can easily see with the naked eye. In fact, I'm expecting a baby as well and I'm not planning to pick apart its visual attention when it's born at all. I'm just going to enjoy my new baby. 21:29 - Ringing in your ears? Richard - The original theories were, tinnitus originates from abnormal activity in your inner ear that's been damaged. However, studies have been done where the auditory nerve that connects the ear to the brain when that's severed because of a surgical intervention, the tinnitus persists. This led people to believe that tinnitus might actually be generated somewhere in the central nervous system. Chris - How have you sought to find out which of those two it is with these experiments? Richard - If you take a really, really high dose of aspirin, it will induce this phantom sound. So, we induced that in animals. We train the animal initially to press the right bar under two sound conditions. When they hear quiet or when they hear an amplitude modulated noise - a noise that would sound like, "ch...ch...ch..." or press the left bar if they hear just a steady sound, "ch..." After the animals learn that task, then we induced tinnitus by giving them a high dose of aspirin. On the quiet trials, if they have tinnitus, they no longer hear quiet and they shift their behaviour from the right bar to the left bar which is associated with a steady sound. So, they're tricked into believing that quiet is steady sound. Chris - How does that help us to understand physically and physiologically what tinnitus is? Richard - Once we know that the animals are perceiving this phantom sound then we can do electrophysiological studies. We can put electrodes into the different parts of the auditory brain or other non-auditory pathways and see what's happening to the neural activity, how it's changed. What we found is, parts of the central auditory pathway became very hyperactive when we played a sound to them whereas their inner ears became less active. So, it look like the brain was compensating for the peripheral hearing loss. Chris - It's rather like if I've got my radio tuned in and there's a little bit of static or interference in the background and the conversation is rather quiet, I turn up the radio to hear better. But there's still an inherent hiss there which will become louder and that's what's happening in these animals. Richard - That's exactly the analogy that I used to explain this. By turning up the volume control, you hear all the static background in your radio station. Chris - If one explores the auditory system when these processes are happening, is it just a discreet zone that's affected or do other brain regions affect the process too? So for instance, is someone sensitive to sound when they're feeling emotionally sensitive for example? Richard - Yes. In our study, we found not only the auditory parts of the brain became hyperactive but an area called the amygdala that assigns emotional significance to sound. A secondary area that became activated was the reticular formation. This is an arousal area that gets you excited. A third area was the hippocampus. This is an area that's involved in spatial navigation. We think all of this network might play an important role in tinnitus and hyperacusis. Chris - Does this give us any insights then into how we can manage tinnitus better? Richard - There's ways in medicating it. One of the most effective ways is, if somebody is completely deaf and has tinnitus, you can put in a prosthetic device called a cochlear implant which electrically stimulates the stump of the auditory nerve. And when you turn the cochlear implant on and put information back into the central auditory nervous system, in about 90 per cent of the people, the tinnitus disappears. Chris - What about people who are the reverse of deaf because there are people who hear sounds and they experience them, perceive them as distractingly loud? Richard - You're describing a phenomena we referred to as hyperacusis. So, if you turn up the central gain mechanism, a really weak signal now that comes in from the periphery and reaches the central nervous system. If you've got your volume control turned up too high, what's going to happen? Sounds will sound super loud to you. So, we think this central gain hypothesis is a way of explaining both tinnitus and hyperacusis. 26:50 - When did time begin? 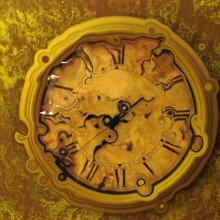 Everyone is familiar with the concept of time but when did it begin? And how do we know when the beginning of time was? 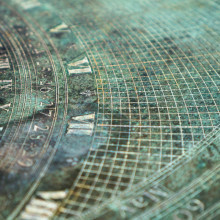 Humans have been measuring time for centuries - but how have we got from sundials to atomic clocks? Alexi - Well, it's the most basic level, it's probably gone back hundreds of thousands of years because of course, humans were perceiving sunrise and sunset, the changing of the seasons. But at least in more recent millennia, also things like the equinoxes and the solstices, and the movement of bright stars and planets like Mars and Venus. But in terms of building implements - tools - to measure time, that's gone back at least 4,000 if not, more thousand years. Kat - So, what do we know about the very first ways that humans started to actually measure time and what sort of divisions of time were they trying to keep track of? Alexi - At the most basic level, there could be the measured burning of incense or candles, materials like that and we also see ancient monuments and buildings align to cyclical astronomical events, things like that. But in terms of what we think of as timekeepers, it was really sundials, water clocks, and hourglasses which were the earliest appearances. Kat - When do we start to see the first sundials and these water clocks? What's going on there? Alexi - It's mostly within the past 3,000 years in places like ancient Egypt or Mesopotamia, China, and the ancient Arabic world. Kat - What's a water clock? Tell me about this. How did that work? Alexi - Well, the water clock, at its most basic form is just the measured pouring of water from one vessel into another. But they could be made a lot more complicated. Even in ancient Greece and ancient Egypt, they were already starting to add gears and the escapements and things we associate with modern technology. Kat - When did people start feeling this need to measure time so precisely rather than just going, "Suns up. Let's go out and do a bit of farming"? Alexi - Initially, it was because of activities like astronomical observing and navigation because of the association of longitude and time. But the time when it really became widespread across society was the 19th century because of the advent of the railroads and steam power, and electricity and mass production, and things like that. Kat - So trains certainly not waiting for your sundial to roughly tell you. Kat - Kind of the train is going now-ish. Alexi - It was also the first time that they wanted to keep. They wanted to synchronise time across large geographical areas. That was a new sort of development. Kat - And how then did we see these clocks starting to change and moving towards for example, the kind of clocks we have today? Alexi - Well, in terms of society at large, it really wasn't until the 1800s that it starts to move towards our modern clocks because until then most people couldn't even afford any sort of timekeeper except for like an hourglass. So, in the 1800s, you start to get more mass production and more activities such as factory work and steam powered, and electrical work, and the spread of the railroads demanding more precise time. So, that's really when timekeepers spread across society and also start becoming more precise from our perspective. 38:27 - How do atomic clocks work? How was atomic time discovered? And how do atomic clocks work? Ray - That's right, yes. He was not always conventional. One of his first successes was to see that there was an error in the speed of light, which during second world war was essential for any distance measurement particularly that used in radar. It was only in the Korean war did the Americans adopt Essen's value of the speed of light and so, corrects their own equipment and gave it much more accurate radar. Graihagh - A remarkable man then in many ways, for not only his radio navigation system but also for his atomic clock. Tell me a bit more about the atomic clock. How did he come to build it so-to-speak? Ray - The idea for the atomic clock came initially from America, just after the second world war. Essen had been doing similar work in the UK and so, a number of scientists invited him to America in 1949 to look at the work they've been doing. They demonstrated a prototype atomic clock. But quite frankly, it wasn't accurate. Nevertheless, Essen was really excited by the prospect. So, we had a sort of race developing where the Americans on the one hand had a lot of money that they were throwing at it. Essen meanwhile, he wasn't very well-funded at all in his research. But nevertheless, he came up with the idea. Graihagh - Whilst in America, they were using ammonia, Louis was using caesium. What's interesting about caesium atoms is that if you blast them with microwaves, they resonate at a very precise rate - 9.2 billion times a second. Louis Essen's atomic clock essentially was able to strip off individual atoms by heating the caesium up to a hundred degrees, firing them down an airless tube, and blasting them with microwaves, and then detect this bouncing. One, two, three, four, five... 9.2 billion. And every time it counted to that, it went tick, a second had passed. Unlike the pendulum, or the quartz clocks at that time, the rate at which caesium atoms resonate is constant, whereas pendulums and Quartz clocks are affected by changes in temperature, gravity, deeps in air pressure. So, Louis' clock was much more accurate by a factor of 10, losing or adding a second every 300 years as opposed to every week. But how did Louis do this, especially when the odds were stacked against him? Ray - Many of the best physicists in America came from academic backgrounds and they were interested in purely devising something that could prove or disprove Einstein's relativity theory, that they weren't in the early days, interested in clock making, just something with a regular frequency. It was Essen that saw the practical application of this and the need to redefine the second of time. Graihagh - And his definition of the second still survives today? Ray - It does. It took him 2 years to build the atomic clock and then after that, the next 12 years to get acceptance of a new definition of the second based not on astronomical cycles, but based on the heartbeat of the caesium atom. Graihagh - You must feel very proud. Ray - Yes. He was a quiet, unassuming man. He rarely talked about his work, but deep down, he's changed the lives of many of us in a way that would be unimaginable back in the 1950s. 43:32 - What are leap seconds? Scientists sporadically need to add or deduct seconds from our clocks but if our timekeeping is so accurate, why do we need to do it? Peter - Well, the clocks that we use today, the primary standards that we still use to measure the second are still based on caesium atoms but they are rather different to the type of clock that Essen built. In Essen's clock, we had an oven forming a beam of caesium atoms ,which shoot through with the microwave. 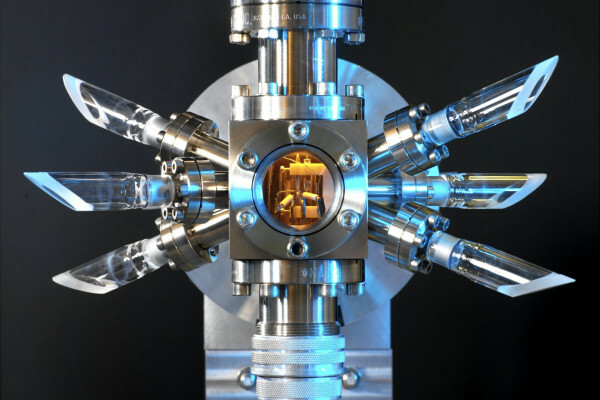 In today's clocks, we use lasers to slow down caesium from a vapour, form a cloud of slowly moving caesium atoms. And then we use the lasers to throw that cloud upwards through the microwave enclosure. The atoms then carry on rising and fall back under gravity through the cavity a second time. That gives a much longer measurement of time of which longer interaction between the atoms under microwaves of around half a second. This longer interaction gives us a much more precise measurement of the frequency and therefore, a more stable clock. Chris - Is that opportunity to engage with them for longer - meaning that we make a more accurate and more precise measurement of their state. Peter - That's right. The longer time you have to make a measurement then the more precisely you can measure an energy or a frequency in this case. Chris - Why do we need amazingly good clocks like this because one in 160 million years, as in one second being added or taken away every 160 million years, do we really need that level of accuracy and precision? Peter - They're certainly applications that would benefit hugely from these new types of clock. 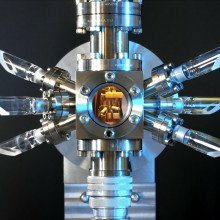 There's a lot of work going on around the world to develop these optical clocks which will surpass the caesium clocks in their performance. Chris - If these clocks are so accurate and precise, why do we have all these problem with leap seconds then? Why do we need to add these seconds periodically? This is the 26th leap second now this year? Peter - That's right, 26th since 1972 when they were first introduced. The reason we need them is that in fact, the Earth is not a very good timekeeper. It speeds up and slows down unpredictably. Over time, we find that our very precise time based on atomic clocks slowly diverges from the time based on the Earth's rotation from the mean solar time. And to keep the two in step, we have to occasionally put a 1 second step into the atomic timescale just to let the Earth catch up with the atomic clocks. This is called the leap second. Chris - Right. So, there's nothing wrong with our timekeeping apparatus, it's that our planet can't keep time properly. Peter - The Earth in fact is not a very good timekeeper. It's a million times poorer than caesium fountains that are keeping time. Chris - What do people think internationally about the concept of the leap second because does it really make a very big difference? Peter - That's an interesting question and there's been a big debate going on now for around 15 years, as to whether we really do need leap seconds. Should we just base our time purely on atomic clocks and just break the link with the Earth's rotation? There's no agreement internationally. 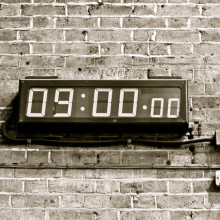 Some countries favour ending leap second because they do cause problems. Some software in particular has great difficulty handling leap seconds. The simplest solution is simply to end them. But other countries say it's important to maintain the traditional link between timekeeping and the Earth's rotation and arguing we should keep leap seconds until at least we understand much better the long term consequences of ending them. Chris - So, where do you sit in the argument? Peter - Well, I'm part of the UK's delegation at this grand meeting that would discuss the issue in November of this year. So, it's my job to argue the UK's position but from a personal point of view, I don't have any stronger sympathies one way or the other. They're both very good arguments and the problem is, no compromise position. You had to keep leap seconds or you end them. Whatever happens, it's going to be very interesting. Chris - And the UK is for keeping it? Peter - The UK government has considered the issue and it's theory is we should maintain this traditional link between our timekeeping and the Earth's rotation. Chris - If we do decide to go with the counter argument and we ditch the leap second, what might be the consequence? Peter - In the short term, not a great deal. The divergence between our atomic time and the Earth's rotation will slowly accumulate. It would take maybe 100 years to reach 1 minute difference and maybe a thousand years to build-up to 1 hour difference. So, within our normal lifetime, we wouldn't notice a huge difference. But over the longer term, the rate of divergence increases more and more. And so, we have to do something to correct this difference between this lifetime and Earth time. And there's no real agreement at the moment as to how that should be done. The UK government is certainly arguing that we should understand the long term consequences better before we make such a fundamental change. 48:51 - Why are fingerprints unique? This week, Tom Crawford put Helen's question under the magnifying glass to try and find out whether fingerprints really are unique and if so, whether the same applies to toeprints? Tom - The movies say that if your fingerprints are found at the scene of the crime, you're guilty. But does this notion hold up in the real world. Forensic scientist Professor Niamh Nic Daeid, put me through my paces at our very own virtual crime scene where, would you believe it, the murderer has left his fingerprints on the candlestick in the dining room. I guess the first thing we need to know is whether fingerprints are actually unique? Niamh - In forensic science, we're actually moving away from the notion that fingerprints can be considered as unique. And instead, we talk about the comparison between fingerprints and finger marks. Fingerprints are the records that are taken directly from a person's finger by law enforcement. Finger marks are what we regard from crime scenes. Tom - I see. So, what I've found is actually a finger mark, not a fingerprint. Niamh - Yes, that's exactly right. 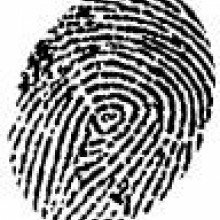 To find evidence that our culprit may have been at the scene, we would need to compare the finger mark taken from the crime scene with a database of fingerprints that contain the fingerprints of our culprit. Tom - What tell-tale signs are we looking for? Niamh - Well, there are a range of characteristic patterns, which are called friction ridge patterns, in a fingerprint, which can be identified and used to compare fingerprints with finger marks. The most overarching features are called whirls, loops, and arches. Fingerprint examiners will also look for other features for example, where these ridges may divide. Tom - Okay. That certainly seems like a lot of variation to be packed into a fingertip. We've had a question from Steven on Facebook who wants to know whether the same applies to toe prints. Niamh - Yes. There are also ridge patterns on the palms of your hand and on your toes. Tom - So, criminals had better make sure to wear shoes as well as gloves to avoid being caught. But why do we have toe and finger marks in the first place? Listener Akhilesh thought it was due to the different genetic origins of each individual while Teo thought it might be influenced by the place in which we are born or perhaps even the chemical makeup of the soil. David said fingerprints are unique simply so that we can use our iPhones. Niamh - Well, fingerprints are developed in the womb. They begin to develop about the 10th week of pregnancy and are largely complete by around the end of the 4th month. The print is determined by the relationship between the epidermis, which is the outer skin layer, and the underlying layer of skin called the dermis. It's just thought to be influenced by factors such as blood pressure, the oxygen levels in the blood, both maternal and foetal, the position adopted in the womb by the foetus, the touching of fingers onto the sac and amniotic fluid, nutrition of the mother, hormone levels. Tom - It's a long list then. Niamh - It certainly is. What it does mean though is that fingerprints are different on every finger of your hand, they're different between your hands, and that fingerprints of identical twins are different from each other. Tom - So, identical twins aren't really identical? Niamh - Yes, that's right. Tom - There you have it, Helen. Thanks for helping to solve this mystery Niamh. I'll see if I can track down our suspect. Next time, we're journeying into John's question. John - What is the most expensive element in the world?